Ingenious. Delicious! Addictive! 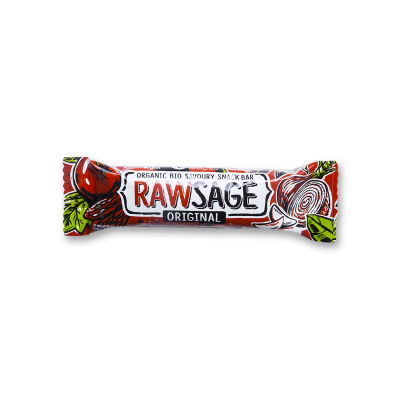 Rawsage is a savory snack with a devilishly exquisite taste. 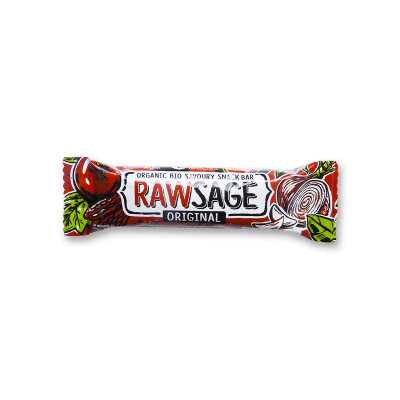 Rawsage is a raw vegan savoury snack bar with a devilishly exquisite taste. A gluten-free snack made exclusively with raw organic ingredients. Not only is it so delicious, you will love its intense and spicy kick! Brazil Nuts* (39 %), Vegetables* (27 %; Sundried Tomatoes With Sea Salt*, Garlic*, Onion*), Raisins*, Hemp Seeds Hulled*, Herbs & Spices* (2,4 %; Ground Cumin*, Dried Marjoram*, Chilli Powder*).